My 7-year old female cat just lost appetite in the recent couple months, and no health issues were identified by vet. I tried a few different dry food, and no luck until I found this one. She loves it! I have noticed several highjacking attempts through either "safe" websites or ISP (charter). One locked Google chrome trying to force acceptance of a free gift. I shut down the page by stopping Google app from running. When I started the app again it came back. No matter what I did I could not get around it. The new design prevents me from deleting the physhing scam. Specific site that locked Google was SI.com. The message started out as "Hello Charter Communication ??? You qualify for a gift ??? Press "OK" to ???" I looked for a way to clear history in the Setting menus. Non found. So I deleted the app and am back on safari. We obviously liked that layout of the chrome browser, so why would you update it to basically copy safari? I might as well use safari. I personally love new UI, animations are so smooth and chrome overall is fast! Crashes constantly (especially if you have like 10 tabs or more open at a time it will lose every single one when it crash) and freezes while doing simple tasks. Would not recommend!!! When I find things that I don't know or just want entertainment I'll go to chrome right away! Causes constant freezing on iPad and is sluggish and often unresponsive. Constantly Crashed usually gives you the restore button but after crash it didn’t give me the option so now all my important are are gone!!! Don't update, the "app" is very difficult to navigate and work. Definitely wouldn't recommend. Horrible design and hard to use. I try to read news articles that are listed on the search page but I get bombarded by pop up ads. You start reading a paragraph and it disappears while a new ad is loaded, or you get ads coming in from the margins that block the text. I recently was trying to read a 3 paragraph news-article and had to quit after 15 frustrating minutes of constant ads or having to reload the article. I don’t trust the rating system. Chrome has me looking for an alternative browser. In the past everything else seemed worse. But this latest version has lowered the bar so far, there has to be a worthwhile alternative. PS I’ve read dozens of 1-2 star reviews and when you consider the myriad of complaints, seemingly all different, their 3.75 star rating sounds like google group think trying to bolster their sub par performance. When I download the newest version it opens FaceBook! Go figure. When I walked into the establishment, it was very clean and welcoming. From the manager to the employees my service was amazing. Everything was accomplished and in a timely manner. I will recommend anyone to go see Chris and his amazing team!!!! I hate this app also. More recently I've noticed that when I talk about something I think this browser listens to key words. I've tested it where I turn off the mic and then turn it on. When the mic is on in settings I notice I get ads in different apps tailored to what I've said recently. Seems like other apps, Instagram for example (mic is turned off on those apps) are pulling from Chrome. Kind of creepy just wish they would explicitly tell us. Also, not really liking the way different windows are shown. It's much more tedious to close the app when they are laid out like cards. Sticking with Safari now. Please add the password feature that safari has where you can auto fill from iOS keychain that’s a really useful feature that I need. Also please add extension like Adblock or etc. Muchas gracias A Brandy Leyva por su gran ayuda en la compra de mi carro. Yo la recomiendo ampliamente en la proxima compra de su auto. Put the bookmark star back in the address bar! I cannot stand the new app. It used to be so easy to use. Now you have to open another window to see all the open windows. It takes longer for pages to load. The new layout is an eyesore. I’m uninstalling it and moving to $afari. Google chrome mobile browser is sleek and intuitive. I love the integration of my google account and google chrome browsers across multiple devices. It’s fast and so far seems more reliable than the previous non-Safari browser I was using on mobile. Wish I switched sooner. So I can’t put any PDFs into my note taking app. Downloaded specifically to use the sketchup app. Refuses to work, one error after another. Delete. Once again all tabs are gone after app crashed! They are in history, but have to load them one by one. Time to look for new browser app! Darn Google! Never had any problems with this app. Why do people think Chrome is Bad?! I received it on time & in perfect condition! Dislike having the close all option in such an open area. The close all button is too easy to hit on accident. I have lost all my tabs and will have to go through the torturous process of finding all the pages again. I can’t sign in for a week because of their security picture matching keeps popping up and up. For a solid week. This is after I’m already linking from the email they already sent to my email. So I’m already verified. I went to open the browser and it closed out immediately. I decided to turn my phone off and on again to see if it made a difference. It still closed out on me so I figured the next logical thing to to was delete the app and reinstall it. Once I deleted it, I went to the App Store to reinstall, and for some reason, my phone still thought I had chrome installed because instead of an “install” button, the “open” button came up. So I clicked on it and it still closed me out. Also, no matter how many times I delete the app, it’ll still show up in my apps and every time I click on it, it still closes me out. Any idea what might be going on? I’d love to have that app working on my phone again but can’t see that happening anywhere in the near future unless I can talk to someone directly about this. It was a pleasure to do business with All State Gutter. David came for estimate, followed through. Provided a competitive quote. Fixed the price and scope. Came exactly as promised. Completed all services on time as promised. Others should follow them. Lice to search not working in any google app. The voice to search does not work in chrome or google assistant. On iOS for iPad A1822. This condo was lovely. The decor was so carefully done, many personal touches that made it so fun to come back to after a day of walking, golfing or beach time. T he location is so convenient to everything that makes Amelia Island special. We will definitely be back and will stay at this particular condo. The owner is terrific. This app is by far the less superior web browser when compared to Safari. I have given Google Chrome multiple chances to redeem themselves but they consistently come up short. Ex: no compatibility with enlarging video screen Furthermore the internet connection is horrid. Multiple times while searching for internet Chrome failed to produce results while Safari come through in a timely manner. I don’t know why anyone would choose this hot garbage over safari. I have an iPhone and used safari these past couple years. Got tired of it and just started using Chrome. It’s cute, fun and FASTER! A good deal faster so thank you. The sole reason I keep Chrome around is to sync bookmarks from my Google account. Otherwise, it’s rather sluggish compared to Safari. I don’t like the redesign either; it now looks more like Safari. The main reason I installed this app in the first place is so that I don’t have to use Safari. This Chrome already needs an update! Cannot sign in to a few websites as it states the Chrome browser as being obsolete. The google chrome did not open I tried and didn't open the browser didn't even work I Need help please!!!!!! It directs you to mobile pages, the option to switch to desktop version of the website just reloads the mobile one. Whenever I go on sites, pop up scams like the Facebook rewards scam keep popping up far too many times. The pop up blocker doesn’t do it’s job at stopping that. Good app otherwise. used to work great as an everyday browser, as of thursday last week Android messages has not worked. It’s been a few days with no fix so far. Safari and other off brand browsers work fine. Come on google, if you want to compete with IOS IMessage you have to step up your game. Takes forever to load and only loads half pics. Spies on me like crazy. A whole bunch of malware. I hate google because it wants to hack you and it’s always looking for ways to hack any users. That’s why I switched to Brave, it’s like a chrome but that’s not taken over by the Chinese and that blocks all spyware. It doesn’t do what I want it to do because it spied on me and it’s always asking me to access my location which is just begging me for all my information and you know what google wants to do with that information right? That’s why I just use brave and if a site doesn’t work I just just occasionally turn off private browsing mode (Incognito mode is really just being anonymous BUT google can always tell a spy who you are) and then when I’m done with that site I go back on to private browsing mode. There seems to be a small ad that keeps popping up at the bottom of the browser. Even when I closed it it will appear on a new web page. In a small phone screen it got too irritating. I finally removed the ad. When an app takes over my control on my own phone then it is time to find alternative app. Google always falls short of what they try to project, they’re never transparent. 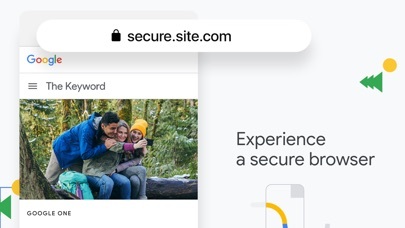 This is usually my go-to browser, but my biggest gripe is the app's susceptibility to malicious pop-ups that cannot be closed, and they are impossible to get rid of since Crome remembers the last website you are on and reopens the app on the malicious redirect site! Please provide an option that says "do you want to restore open r tabs?" or at least some way to click out of a tab so I don't have to delete the app every time I get stuck in one of these malicious pop-up loops. It is maddening. I am looking for something to replace safari, Google Chrome is!!!!!! There have been more than 0 times that I’ve accidentally pushed “Close All Tabs”. Either add a confirmation window (“Are you sure you would like to close x number of tabs?”), or put it in the “...” menu. Just anything but in the upper left-hand corner of the tabs view. The new looks is bad. This new update looks horrible the old UI was better. Please refine the old look and try and work off it. Because the new one is bad. gmail app has very limited functionality , while i was using inbox app for my security cameras email notifications, it suddenly removed off from appstore, now i am seeking to completely move from google and switch to alternatives , disrespected, disgusted and disappointed , this my google user experience. After this update! Everything is awesome! Over over the top complicated ! Please please give an option to use Plan A This is just so crazy making I can’t even spit ! It doesn't show the option to open bookmarks in the Netlfix app. The "Open In" option is complete garbage. Everytime I download to save a pdf or ppt from blackboard it never opens the documents in external apps, let alone any type of pdf or anything into other apps. Everytime I press "open in" it literally does nothing. Have to switch browsers and do the sign in process every time I try to get documents in general since I forget Chrome has that buggy export feature. And the little box above that says export only exports direct links and not documents (mostly useless since blackboard and other sites requiere direct logins). When this feature gets fixed, I'll instantly upgrade this review to 5 stars without any issue. Thanks for your attention. In the beginning, we were attracted to the simplicity and accurate results. The lack of clutter and ads supported what was once the best search engine. Results are now doctored and skewed with advertisements disguised as links to search results. Google curates content that conforms to a bias popularity. 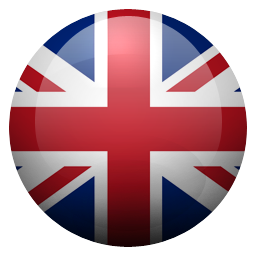 This application is anti-Free Speech and corrupts communities around the world. While I love chrome for PC, despite it being a memory hog, I expected so much from the iOS app and it just couldn’t deliver. I find that it is too slow, compared to safari. I enjoy being able to pick up where I left off on my computer, but IT DOESN’T DUPLICATE TABS. All I really wanted from chrome on iOS was speed(interface, not internet-wise), the ability to pick up where I left off on my pc, and ability to DUPLICATE TABS. Seeing as how it failed to meet two of my requirements, I won’t continue using it. I don’t see why I should simply settle for Chrome’s mediocracy on iOS. With iOS allowing content blocking in Safari and just about every other 3rd party browser offering ad blocking of some type the fact Chrome has no way to block ads puts this browser in an antiquated last place of available browsers on iOS. I would way rather use Google thanks to the update. 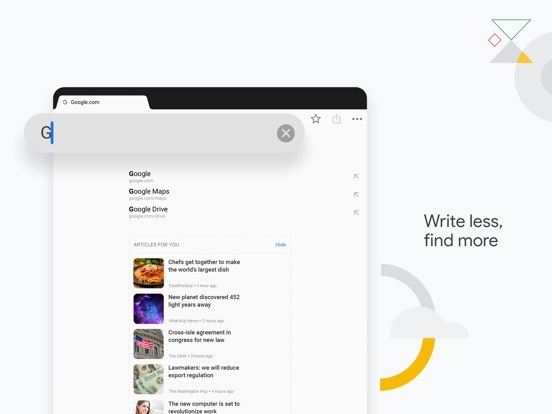 Before, You could easily find past tabs, easily search and so on. It was perfect until the update. The update just made it worse. It might just be my internet, but why is the screen blank? At least add a place where you can just touch to type, rather then adding a big bar at the bottom just to take up space. And it just looks like a copy of Safari like many people said. Many of your users switched because they did not like the look of Safari, so why did you make a copy of it? And you think this is better than Google? No way. Way rather use Google. There are pirates that take you away from Chrome and put you into a site called “goodluckday.site, with a screen that says, “Congratulations, iPhone user! You have been randomly selected to a spin and get (1) unclaimed reward. Click OK to start! I won’t touch it. It looks like a scam. And it has captured me quite a few times. 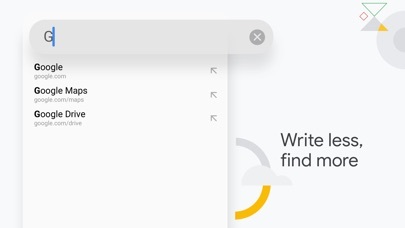 The problem is that when their screen shows up and I’ve been transported to “good luck day.site” I can’t get Google back until I delete it and reinstall Google. Then Google asks me for my password. I don’t think I ever had a password. I’ve never been asked to use one except after I’ve been kidnapped and then try to reinstall Google. Can you do something about these guys who take Google customers away and put them into their site? Or are you powerless over them? I like. It good for me search in. The latest update enlarged the Open Tab tiles and I now have to scroll repeatedly if i have multiple tabs open. Please provide the ability to make tiles smaller again! I used to love this app it had a convenient, simple design and I could easily navigate the internet. After the new update, I can’t say any of these things about Chrome. I understand it’s an app, things will change every now and then. But this is a major change that can risk a lot of your users. The design itself is clunky and strange. There is no more swipe to remove a tab. The toolbar at the bottom (that auto hides, which I personally hate) is ugly, takes up space, and is a downgrade from the user friendly previous version of Chrome I loved. Not to mention it looks like a carbon copy of Safari. Like someone else said in a recent review, If we had to go on the App Store and DOWNLOAD Chrome, rather than use the pre-downloaded Safari, why would you think we liked the design of Safari? I think you should return to the old design or at least give us an option to go back with Settings. The majority of your users dislike the Safari design, therefore you shouldn’t try to make a copy of them. I will use Safari from now on, until it is updated to look better, because I might as well if your apps look almost exactly alike. Lost all my browser tabs! Very mad I lost over 100 open browser tabs I had collected over the last couple of months that I needed to go through and read/bookmark/take care of/close. I opened the app one day and they were all closed. I went to recent tabs and it was blank!!! I even went to other devices on my computer and the recent tabs under my iPhone was Blank also!!!! (because google programmed it so it over wrote my previously opened tabs with my new blank version!!!) What a freaking nightmare so infuriating! I’ll never find out what those 100 tabs I had opened were and there are many lost opportunities now. No viewing my history doesn’t help. I have over 5000 pages of history from the last few months obviously it’s impossible to go through all of that and try to pick out the tabs. Google Chrome needs to build in a history of opened tabs at least for the last couple of months! That takes bytes of data and saves a massive amount of headache and a nightmare like this! I can’t believe they haven’t made this a fundamental feature of the app already it’s almost 2019 and the only option for that kind of thing is by downloading a special browser extension on the desktop but it’s not even available for the iPhone/iPad. Because of this I don’t want to use chrome anymore as not only is it a privacy problem with google having all of your data but it’s a serious work hazard with Google LOSING all of your data so I’m looking for other browser options that don’t have this problem. Normally I love the chrome app, it’s basically the only app I use on my phone and for the most part it works great (love that I’m able to login to chrome on my laptop and phone and share the tabs I have open), but ever since the last update it’s been unusable. Every time I open chrome I’m greeted by a white screen with the loading bar at the top, which then never loads. If I swipe down to reload the loading bar just fills all the way but the page remains blank. I’ve tried looking on the support page but it just takes me to a page that describes how to download chrome, which I obviously don’t need. I’ve check for software updates on both the app and my phone, I’ve tried it with my VPN turned off and on, but nothing works. I’m hoping the issue will either resolve itself or there will be another update soon to fix this problem because I really don’t want to have to start using safari. The new update is visually unappealing and looks like some horrible combination of the worst parts of Safari and the Firefox mobile app. That’s not my only complaint, of course. I liked Chrome before the update because of how it resembled the desktop browser while also being a functional mobile app, and how the url bar would hide as I scrolled. Now it does neither of these things, and just looks really bad. The control panel at the bottom leads to sore thumbs, and having the controls separate from the url bar just looks sloppy. It’s too hard to close tabs; that tiny ‘X’ is difficult to select if you have wide fingers or if fine motor function is difficult for you. I only even updated because Chrome kept crashing when I tried to use it. I’d expect that kind of BS from Apple, sure, but now Google? Shame on you. I’ve just downloaded Firefox; I have my issues there as well, but it’s still better than your new crap, sorry, “app.” Get your act together and listen to user feedback or that’s where I (and my friends) will be going. The new design is basically a clone of safari. Everything is changed: layout of menus and buttons and open tabs, entire visual design aesthetic, screen interactions - nothing remains the same from the chrome app I’ve used for years over anything else available. I still use it because of habit, but that’s all. It feels awkward now, and you have to be more precise in tapping buttons. Actually everything is more difficult to accomplish, especially bookmarking a website and opening/closing a new tab. It just feels cramped and every action I regularly take is hidden in a menu I have to scroll through. Speaking of the main menu for taking actions like bookmarking or “find in page”, its all just crammed into an overflow menu (the ... button) that you have to scroll through. There’s no organization whatsoever and everything is just jumbled up. I’ve been using this update for like a week now and still have to search for what I want and regularly use. LET ME ROLL BACK TO PREVIOUS VERSION PLEASE. FIST BUMPS PLEASE!!! Amazing Job. I’m very impressed with the obvious improvements made to the Google Chrome app for iOS. 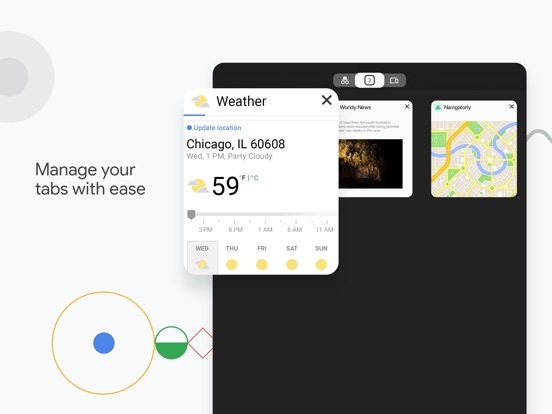 I would much prefer to move entirely off Safari as I am a voracious Google product user (Photos, Docs, Email,Maps, Calendar, more), but would not have given untethering from iOS Safari before now. As we have begun using Google Home more and more, I’ve been looking for ways to better exploit Google Assistant on my iPhone. With Ad-Blocking a limitation in Safari (good, but not great), and with Google’s new ad-blocking features rolling out this week, I’ve been trying to give iOS Chrome a second look. I like it much more now. I do wish, however, that the navigation controls were more like Safari’s, and at the bottom of the screen, not the top. Imitation is a good form of flattery, certainly, but even more important in UX/UI, so I would greatly encourage more of that “design borrowing”. I dislike this current version, it reminds me of Safari from Apple. I already have Safari so why will I now need Chrome. Please bring back the design of how the tabs looked and interacted. Why can we no longer see the regular tabs and the incognito tabs in the same area? Why do the tabs look like weird cubes? The preview of the tabs through those cubes is less optimal (to small) than the previous version. I do like the ability to slide tabs around putting them in the order I want. I like the new design of the three dots/ settings/ history area, but I dislike how easy it is to accidentally close all of my tabs. The close all feature would be better placed in the three dots/ settings area if it is even kept. Overall I dislike this new updated design. Once again it is just too much like Safari, and I originally downloaded Chrome to get away from that. Also I greatly dislike that I can no longer view the clock/ wifi & battery strength while using the Chrome app. AMP not good on iOS, intrusive too! There is still no way to OPT OUT of the the AMP feature in Chrome that automatically redirect all websites to the Google server, with the excuse of "accelerating" the website download on slow connections and reducing ads, this excuse is false, as it does too on super fast fiber-optic connections as ours is and then google insert its own ads. This Google chrome feature is also: 1. 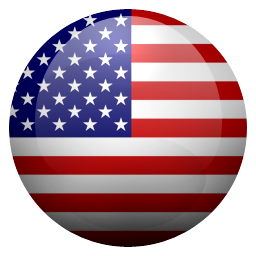 Intrusive and against privacy 2. It disables the cool iOS feature of tapping the time on long websites to go quickly to the top. 3. While attempting to copy the link of the website you will be force to always have the word "google" mixed with it in a longer strings 4. If you chose (as I have been doing) to tap on the icon to go to the actual website without google meddling then you are force to waste time every time you open a website by waiting twice as long and tapping twice. 5. It disables the zoom or expand feature 6. 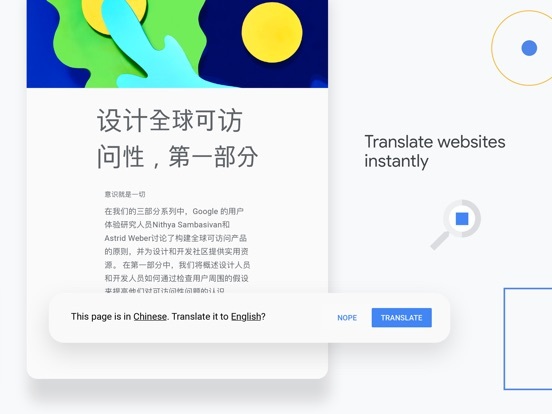 It disables the view of comments at end of the news webpages *WE THE COMMUNITY OF USERS: ASK GOOGLE CHROME TO GIVE US THE OPTION TO DISABLE the AMP feature GLOBALLY, for all websites in the Chrome global SETTINGS. 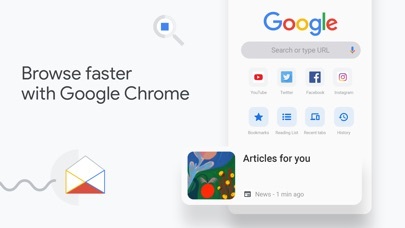 •Some are preparing a class action lawsuit is this is not accomplished by google, because the most nasty part of AMP is this: "AMP articles may not be from the original publication or the most authoritative source. AMP prioritizes adopters of AMP technology and popularity, downgrading primary, authoritative sources in the process"
Why is there an intrusive random link box that pops up whenever there’s something in the images section that’s completely random on where it comes and appears to be randomly “related” to what I’m looking at even though if I wanted it I’d have looked for it. Its especially weird for the “incognito” necessary stuff if you get what I mean. If I wanted an article on “that” I’d have looked for it. Seriously. It’s weird intrusive and slows down the flow of what I’m seeing. It’s basically a huge reef spike in a vast open ocean that exists only where the “sailing” would be in that analogy. Otherwise it’s unremarkable in either direction. Oh almost forgot no matter WHAT I look up I have to refresh it for it to work even for general searches like particular memes and political cartoons. It’s not like it’s a website that changes. NVM I just checked and the first search didn’t do that but it HAD been doing that so keep an eye out for it. It’s weird to say but this version of Google Chrome made me unhappy. The previous version of it was really great, there were no lags and bugs, it rarely stopped or malfunctioned but this version isn’t that great. I was using an older version of it (I can’t remember which one it was)that was awesome in any way. I recently updated it as I reseted my iPhone but thought it would have been great, ignoring the reviews I reinstalled it and alas! They were saying the truth... The previous version was great, it was smooth, one could jump between tabs much more easily, there was a refresh button at the top, now we have to scroll all the way up to refresh a page, no more saving images. It looks more like SAFARI now. The bigger tabs just makes it more messy. Just changing the interface doesn’t gonna help, it is a clear sign they are just copying other browser’s stuff. I really wish there was a way you can download previous versions on iOS. 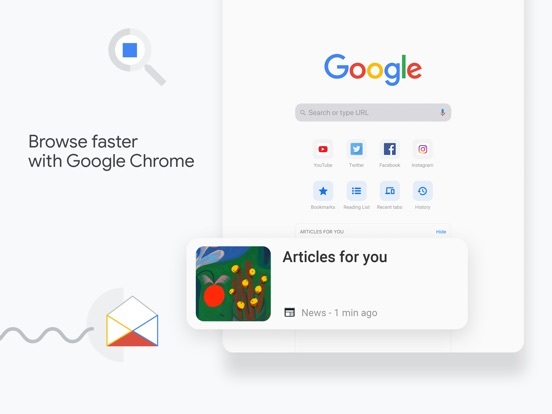 The most recent update sacrifices the simple and familiar user interface in favor of being more like competing web browsing apps. While I appreciate the drive towards standardization, this was a mistake. The new 2-wide tabs display makes it much harder to navigate back and forth between a few tabs at a time, and it seems like it takes longer to load as well. I also really liked that Chrome had all of its controls along the top of the screen, as opposed to split between top and bottom. The new design puts far more clutter on the screen, so it feels much more intrusive. I wish there was a setting to return to the old interface. The new layout and slower response of this version feels like a whole different app. Since I will need to relearn the whole system anyway, I think I will me switching my primary browser. 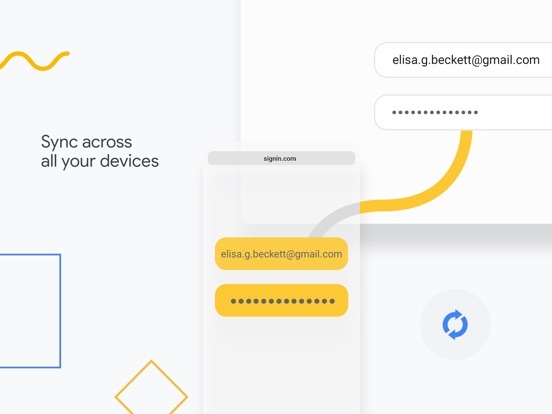 When the password manager was integrated into Google Chrome months ago I was so happy because it was very slow and annoying to keep heading over to the website and logging in every time. I thought this was going to solve my issue until I figured out that it missed a very IMPORTANT feature that I have no idea how it was overlooked. I have over 100 sites saved into Google’s password manager and scrolling down the page of sites that has small texts and favicons is the worst. 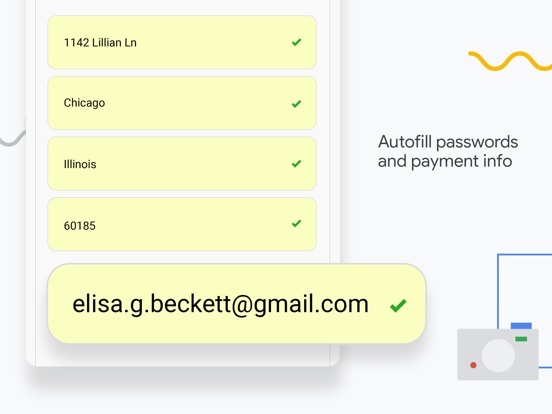 A search feature is very needed and would be highly appreciated for users that trust Google enough to use it as a password manager. Other than that this is a great app and kudos to the developers! P.S. 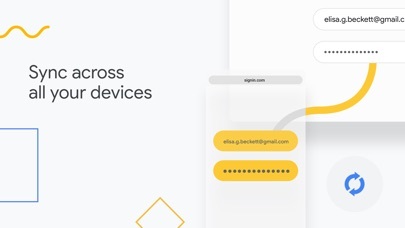 Making a separate password manager or integrating it into the main Google app would be very useful. Update: The issue was fixed for about a month. And then it decided to act up again. If I want to view a link in my email I need to use Chrome for desktop. In fact I normally view stuff in the Google app since Chrome doesn’t work right (as usual). Normally I would give this app a higher rating but unfortunately it keeps crashing on me. At first I thought it was because I was trying to send a link to a wedding site, but then a link from an email kept crashing as I was trying to read a lengthy article enclosed. It crashed three times in 15 minutes. I am not happy with chrome right now, and unlike when this was happening with my Chrome browser on Windows last year I can't get Canary Chrome for this device to fix it myself. I use it on my desktop, laptop, my phone, and pretty much every device I can put it on. I've been using chrome every since I was just a kid - and there's definitely not a better web application than this. it has more features than any other regular web browser that I have seen. furthermore, I absolutely have no idea why it has a 3 star rating on this app store. it should definitely have more considering the work and dedication Google has put Into this app. the interface is very smooth and comfortable to me and every single webpage loads flawlessly. if you are reading this I would definitely recommend chrome to you, no matter what anybody says. keep up the good work Google! So I have a few suggestions for making the software better, hope it could help. First, I’m not a fan of the chrome gestures. Using a iPhone SE, it’s typically hard for me to operate a full gesture on the cellphone- and such a function, although it’s indeed pretty good, doesn’t necessarily helps me with my experience but make it worse in most times. Second, translation is a critical function that needs updates. 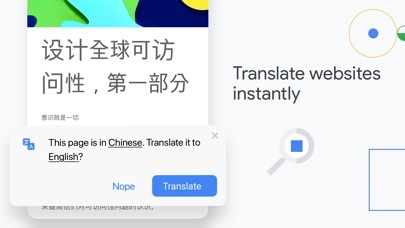 I’ve also been using chrome on my MacBook, and it’s always good to have means to ‘request a translation’ and ‘see original text’. But this is not working so well on IOS Chrome, especially when I need a translation(from English to other languages). I need to double check and skim both translated text and original ones whenever that I need to, it’s just something that’s lacking consideration here. Third, unlike Firefox and safari, there a lagging area for previous pages. It’s not quite helpful for me and also cause me an inconsistency when reading/glancing at the articles. Also animation through pages is so bad- I don’t really ask Chrome to be as good as safari, but at least make it like the ‘Google’ app you guys have- save some pages when you need to go back browsing news updates, it’s not really that hard, right? Hope you guys can make iOS chrome better, I really do. The Blessings just don’t stop coming, though I still don’t know how to collect theme, but I know one that always opens doors of blessings!!!..... it’s my secret, but I can’t hold on to it any longer and I half to let the World know..... I know him by Jesus Christ and he is my healer my redeemer my counselor, the one who lifts up my head, he forgave my sin way back on Calvary Cross, he cast them to the depth’s of the see and never remembered theme, and today he is still representing me holly before he judgement Throne of God. He’s the best of all the rest, nothing compares to his love!!!...... the one and only that could have created the Universe at the sound of his voice, he takes care of what I can’t for accomplish of overcome with my own strength. Brigido Jr. L.C. A lot of times I wonder what the difference is between Google and Chrome. 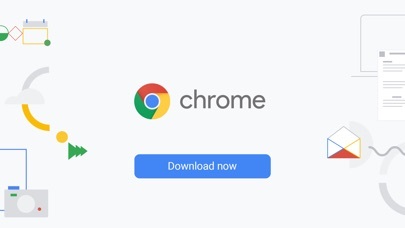 I feel that Google is more original than Chrome but that’s just my opinion. It’s definitely not in my place to be SUPER judgmental about it and be really rude, but I feel these two apps are kind of... THE SAME. There’s nothing that stands out in one app that doesn’t stand out in the other! 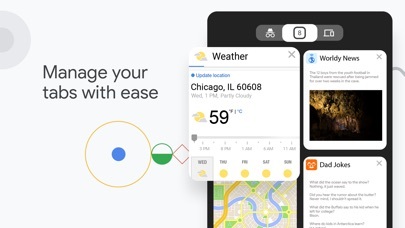 If I closed my eyes and tapped one of the apps (other than the fact that Chrome takes you to a page) I honestly don’t think I’d know if it was Google or Chrome! Anyway, I don’t really have any MAJOR problems with this app, not any that need to be pointed out. But I really like this app!!!!! 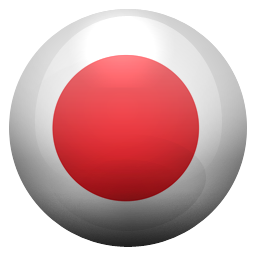 It’s very helpful with practically EVERYTHING and I enjoy using it whenever I need to! First off... I love Google’s products. Chrome has been my favorite browser for all devices for a very long time. Normally I’d rate the app 5 stars but I’m not sure I understand the rationale behind the recent change to the UI for iOS. The new toolbar at the bottom of the app takes up a lot of real estate and a few sites I use tend to use sticky footers for key actions (Coinbase Pro for example). This creates a clutter of buttons all concentrated in a single area. I’m not sure I understand why the search icon is so prominent since the toolbar essentially triggers the same action and works well. Maybe you’re laying the foundation to integrate more apps in that area as a menu with a long press, and if so, then I get it. Still my favorite browser but wish I could free up that real estate at the bottom of the app, or just have the ability to maximize the page content. Why is Google trying to be Safari?! So, this new “update” is awful. Everything feels like a big bubble and looks like mobile Safari which I hate. If I wanted to use Safari, I wouldn’t have downloaded chrome. Everything I love about the Chrome mobile and desktop on mobile version is gone. This feels like a mobile browser, an outdated one, and makes me not want to use it all. It’s awkward, the design has a very childish or aged feel to it, like we went backwards several versions and several years. It is so bad that it almost feels like a console where Google is trying to make us hate the iPhone versions of their apps so we have to switch to their devices. I’m normally one who doesn’t care so much about app design changes, and I give myself time to get used to it. 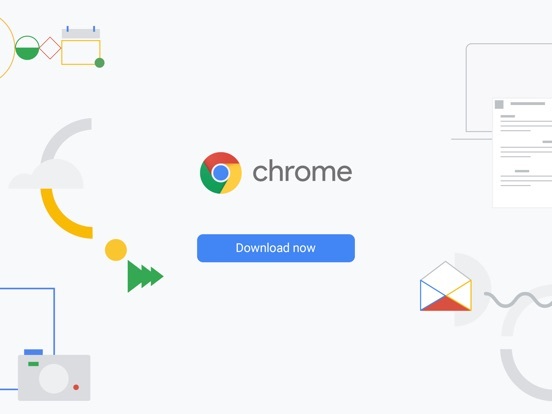 This is just so poorly done I don’t want to use Chrome at all. And that’s a big deal for me. I use Chrome for everything. Time to look for a better browser experience I guess. Its ok, i liked it at first but its to slow and i really dont like that i have to keep re entering things cuz the page wont register the input, also when im trying to navagate away from a page, trapping me on that page so that it must load before i can do anything else is unacceptable, if the page is malicious and i have other tabs open in order to avoid that page i must loose all my tabs, also if i am on a metered connection, which I frequently am, you are needlessly running up my meter. I never thought id be deleting google, but i replaced you on my desktop 2weeks ago with no regrets, getting ready to say goodbye to your SLOW dis functional clutter on my phone as well, please make me something EFFICIENT. Less clicks per task. More information in display at my control. It was your decision to make the drive applications completely inept that resulted in my prompt deletion of them. Despite the fact that I have checked my settings numerous times and have “block pop-ups” enabled, I continue to be bombarded by quite obviously malicious pop-ups. The only options I have are to press “ok” and quickly close the tab that is now open to a malicious site, or completely delete the app every time that happens (about every 45 seconds on certain sites.) I used to love using this app for all of my internet browsing, but it has been rendered unusable. Constantly getting pop-ups on wikipedia pages and articles from reputable sources (which I have no problems with on my computer) is absolutely unacceptable. 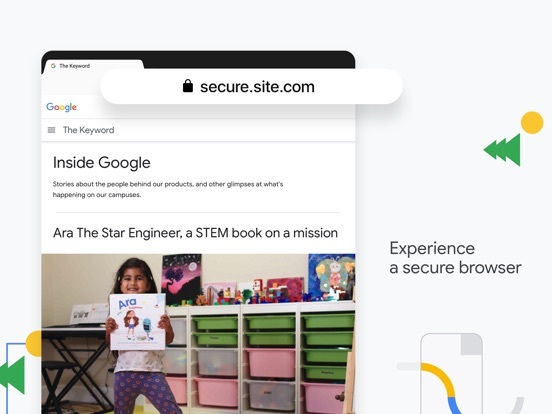 I love google products and the company, and if this problem is fixed then I will most certainly continue using this app as my main browser, but for now I simply cannot because I have to protect my device and my security. Truly disappointing. Right now, it is really annoying to save bookmarks. My Bookmark Bar has 14 main folders and 186 subfolders (yes, I just counted), plus hundreds of actual bookmarked sites. The bookmarked sites don't show up while I try to save a new bookmark... but the 186 subfolders do. So if I need to save a new bookmark, this app forces me to scroll past ALL of my folders and subfolders (which this app alphabetizes - meaning they are NOT arranged in the order I have them on desktop) to FIND the folder I want to Save Bookmark in. This is ridiculous. I would LOVE to be able to FIRST select one of the 14 main folders in my Bookmarks Bar, and THEN scroll to the correct subfolder and simply save the new bookmark. Funny enough, this is the EXACT system you have in place for FINDING a bookmark that I've already saved. Sooo... you have a great system in place for FINDING a bookmark, but SAVING A NEW ONE is a nightmare. If you could find it in your hearts to update this, I'd be hugely grateful!! Okay, I’ve searched for something, and it was nice to be able to go back to the search results, and have them all still there so I could try multiple options for finding what I wanted. But that doesn’t mean it’s the only thing I EVER will want to search for. I try changing my search terms to refine my results, and Chrome snaps it back to the last thing I searched for, maybe... thinking that I had made a mistake when I changed it? I don’t get it. Also, before, you’d get the “sponsored” or “recommended“ results first, and you’d understand that you had to scroll past those ones to find what you needed. Now... there’s nothing past those ones! Maybe I’m going off the deep end, maybe there are some bugs with the new version that have yet to be ironed out ... but boy, is it sure annoying in the meantime! Like someone else said, if I wanted to use Safari, I would. Don’t be like Safari. 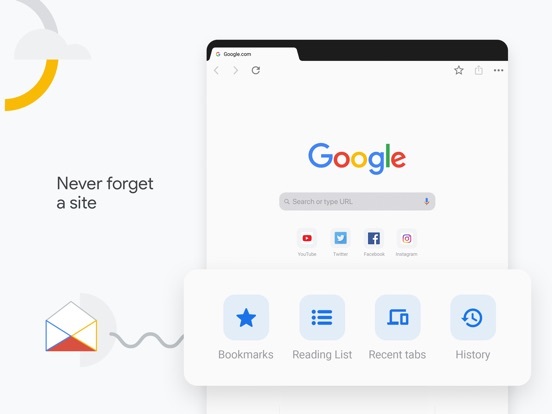 Google officially killed the old look of Chrome. You used to be able to revert to the older and more functional layout by adjusting hidden flags. This was removed in the latest update and I really hate it. The new look makes everything too big. Finding tabs is actually harder and the new tab manager makes tabs not “feel” like web pages. Every time I open a new tab I almost hit the “close all” button which would be catastrophic. 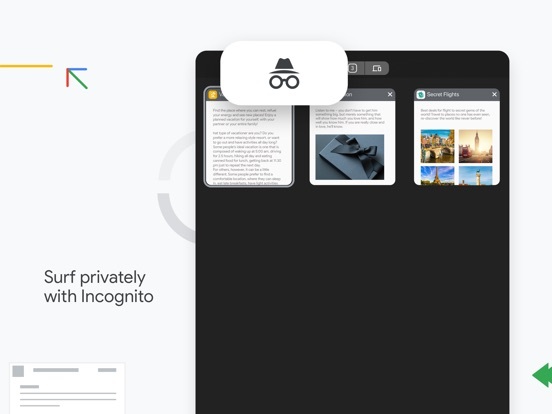 This looks closer to Safari than ever. If I wanted Safari, I’d just use it since it’s already in my phone. Google should be setting themselves apart and pushing the standards and not following other tech companies. I also just don’t understand why the new “in” look is flat graphics, oversized buttons or icons, and huge amounts of wasted whitespace. I have a large phone. I don’t need help with giant menus and buttons that look like they were designed for a senior citizen who forgot their glasses. And what does Google have against labels on the bottom menu bar and in the tab switcher? Sometimes I like to read what I’m about to select before I touch it. The one good thing is the compact menu. It’s concise and reachable. Bring back the customizability that used to exist in software and let me choose how I make my own device look. I don’t need to be forced into the user experience that you think I want. I first have to say that I love chrome. It was always my browser of choice. I just updated it and now it’s not as good. I’m sure bugs were fixed and things were improved but what I really don’t like about the new chrome is the new set look. The think I loved about the only look was the sharpness of everything. It looked really good and totally different from any browser. Then you roll out this new look, and let me say that it is terrible the sharpness is gone and everything feels like it’s made for the elderly and children. It is terrible looking. Everything is sized up to be bigger and everything looks like it’s child guarded. It just doesn’t look right. I’ve searched for a way to change it back but that doesn't seem to be an option. I would delete this review if an option was made to allow you to change it back. I really liked the interface of Chrome. It was fairly similar to adjust to from the PC because they are so similar. Now I have to adapt to this new interface that looks similar to Safari. I dislike Safari's interface with the tabs and other settings in a low bar because I felt that it was inconvenient. Now that Chrome has switched to this new interface, I find it very difficult to adjust my mind on this system especially since this is the browser that I only use. I do like that I can access many of the settings (e.g. History) without having to open up a new tab. Other than this, there weren't any issues the previous interface. It would be lovely if the developers reach back for a conversation with this. If not, then either give us the option to use the previous interface or undo the update. I've always enjoyed using Chrome as my default browser on iPhone, until about two months ago i began experiencing spam ads that would pop up and take over the entire app functioning. Even when I would close the window and the app and reopen it, the ad would pop up again. There was no option except to click on the ad, which one time i did, and it led me to further spam pages that asked me for my personal info. I have even deleted the app from my phone and then downloaded it again, but inevitably the same thing would happen again. Because of this, unfortunately I have had to stop using Chrome. This problem has not occurred with Safari, so for now I'm sticking with that. I'm writing this in the hopes that it can be addressed, so I can safely return to using Chrome again. Thank you! I love chrome mostly because it saves my passwords and bookmarks in the same place. I use chrome on my PC, and its also nice to see my open tabs on my iPad or phone when I walk into another room and forget what the screen said. Writing this reveiew because I just found a pretty horrendous bug in this app involving the Gmail web client on the iPad 9.6 running iOS 11.4. Was trying to send an email within the “compose” popup within the Chrome Browser. I typed my whole email then selected to add an attachment. I didn’t see my file, so I selected to cancel the file upload. This brought me to a blank Chrome logo and the Chrome app was unresponsive. I was forced to reset the app causing me to lose my work. Hope they fix this quick because its a repro rate of 100%. Breaking my silence in the 7yrs I’ve shopped in the App Store w/o one review to express my frustration w/ the most recent update to the Google Chrome app that I’m using on my new generation iPad. One, it auto-updated; so that p*ssed me off, on sight. Then, when I saw how utterly hideous the pages were, that added a whole other level of outrage. I’ve been too busy this week to research ways to reverse the update (like I successfully did with my phone) and got a feel for the performance, which - not to my surprise - is also lackluster. 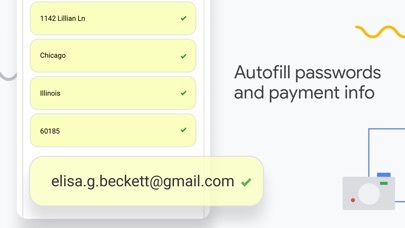 Additionally, the bottom toolbar that holds the autocorrect/-fill covers the content near the bottom of the page, which was not the case in previous versions. So not only am I being force-fed your incompetence, I will also be forced to look at your ugly mug during that realization..? No bueno. The Google’s privacy violations were more than enough, actively researching alternatives. I love chrome. I gave it 2 stars, but let’s be honest, it’s still the best browser out there. BUT, this new update took a 5 star rating and turned it into a 2 Star. I abhor tr new layout. I stopped using safari precisely because I HATED the forward and back (and all the function buttons for that matter) buttons along the bottom of the screen. It makes zero sense to have address and navigation buttons in different places. Chrome had it beautifully placed. And what do they do? take 10 steps back to do exactly what their competitors failed to move on from 8 years ago. Their multiple tabs are not nearly as easily reached and navigated. Not tough to use at all, but another definite step back in terms of intuitive design. I’m not here telling you not to download it, but for the LOVE OF GOD put stuff back where it belongs!!!!! Typing lags and bookmark icons have disappeared. UPDATE: Still issues. Now the bookmarks don't show unless I go hunting for them in a menu. So, now they are still gone from the old bookmark grid page style AND NOW I have to actually LOOK for them. Why? Browser is slow, typing lags horribly, bookmarks icons disappear when scrolling down the screen. Chrome for iPad keeps forgetting my passwords. Please let us have the old bookmark method back, where we would have larger square icons that did not disappear when I scroll down the screen AND they sorted themselves horizontally across the screen, from left to right. I remove the titles on all of my bookmarks to be able to fit more on my desktop Chrome browser. The list-view of small icons is really poor design. I used to rave about how wonderful this browser was, but back in March, it seems to have taken a turn for the worse. No more thumb stretch, HOORAY!!! I LOVE that you moved the back button and tabs down to the bottom! My thumb thanks you as well. I try to never use Safari so I can’t say if it looks like Safari as the Reviewer who didn’t care for the update mentioned. Frankly, I only care about the “useability” (this should be a word and not 2 words). I’m a busy mom with young kids so I need to be able to navigate quickly and switch between saved tabs often for teams schedules and recipes and shopping and poison control. You have made that infinitely easier with this update. BAM 6 screen views at once, swipe for 6 more....GAME CHANGER....dogs that ate entire packages of Oreos saved! Thank you. Love it. Hate the update. Any way to downgrade? Just use actual Chrome on a computer, it works way better then this app which has disappointed me more then I expected. I love using this app, but the update has completely threw me off. I often use google and when I'm scrolling down, my fingers are always on the bottom of the screen and swiping things all the time. I read a lot and the new google update isn't helping. I prefer the old version where everything is on top of the screen where I can easily swipe up to hide and not accidentally click a button to go back or forth when I don't need to. I just want to know if there's anyway to downgrade the app. I also had over 100 tabs open. I lost it all in an instant and have NO way of getting them back. I haven't the slightest clue what majority of the tabs were called and it's extremely difficult to try to find EVERYTHING all over again which I don't have time for. I need a section in which the tabs I have recently deleted, ON ACCIDENT CAUSE IM NOT STUPID ENOUGH TO ACTUALLY WILLINGLY DO THAT, can be replaced in an instant. Without going into my history, because let's be honest. History is a mix of what happened on one tab. NOT ON ALL TABS THAT WE HAD. It's really starting to annoy me by how google chrome is starting to fail. Occasionally safari won’t show something properly or won’t respond to a button press. Chrome has been less buggy, even with the Apple website, which did not load the iPhone XS preorder page properly. I tried opening it in chrome and it worked just fine. Same thing with the Razer Blade website, button presses responded more often. Safari loaded something that chrome didn’t only once, which was the Samsung Galaxy website. Also safari doesn’t sync with my PC, which Chrome does, so that’s a plus. It also has a smarter layout and the new update makes it look better than ever. I enjoy this browser. However I want to address that since the last update and this new firmware I have an issue with uploading documents online on this browser. I’m using an IPad Pro 10.5. On the last firmware anytime I selected the document and hit upload it will just go white with the google chrome logo in the center of the screen. With this new firmware, once I hit upload and it will display my open tabs, and I’m able to exit the tab selection by tapping on done. I have closed the app and have attempted over and over. I hate using Safari, but I need to upload my resume. Please fix! What’s going on? If it ain’t broke- leave alone! Sorry, but the latest update leaves something to be desired. Been trying to get used to it in last few days and there’s just something off about it. It’s lots more difficult to go back to a previous page, in fact, sometimes the back arrows are totally missing as well as other selections that used to be self evident. And I don’t like that black background! Yuk! Depressing!! Did you test this on anyone before you rolled it out? And the auto save of passwords feature seems to have decided to not work! I really liked that, but now it doesn’t even ask if I want Chrome to save or update for me, or it does so intermittently. Think you have some ‘splaining to do or fix it please! Thanks. After reading other reviews, I'm glad I'm not the only one who feels this way. I love the iOS version of Chrome. I've used it since day 1 since I got an iphone so for about 3 years. It's a great browser but I truly miss the feature of saving an image that's alone on its own page. I didn't think I would miss it as much but I love Google image searching an image for the highest quality, clicking and opening an image, then saving it. But sadly now I can't. I didn't think this would be a deal breaker for me, but I'm not so sure anymore. I hope this feature comes back. Otherwise I might have to use another browser to search my nice high quality wallpapers. It's not a big deal but it is annoying and a hassle not being able to do it all within one browser now. Ability to tag websites to read later is helpful & I use it all the time. However google developers would’ve been smart to take this feature a few steps further — 1. to be able to create folders within the “read later” option 2. 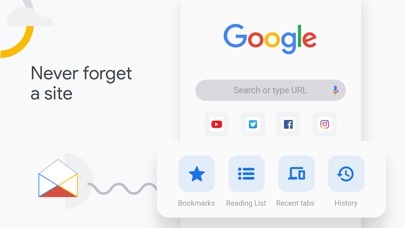 Enable users to create bookmark these sites directly from “read later” list. As it is, if I want to add a permanent bookmark to a site I’ve marked as “read later” I have to open the site and create bookmark from that point. It should be doable just from the “read later” list. Chrome is still the fastest and most user friendly web search engine out there. Hi Google team, I'm not sure why this is happening, but currently browsing through some pages and searches the app has consumed 40% of my battery's life in 20 minutes. Even opening after closing all other apps and opening chrome to view the opening page used up 2% (17% down to 15%) while on low battery mode. My phone has at most run 5-6 other apps today. By some deduction I found that chrome was responsible for the unusually high battery consumption. Please feel free to contact me for any other follow-up questions. This seems to be a disturbingly odd for a browser's behavior. I’ve been a longtime Chrome user on multiple iPhones throughout the years and overall it has been decent....until now. Even after all this time and multiple updates since the iPhone X was released, Chrome is still practically unusable on Apple’s new flagship device in landscape mode. In landscape mode it zooms in the page and won’t let you zoom out to see the whole webpage (seems this varies depending on the site). Another glaring issue is that you can’t tap the top of the screen to instantly scroll to the top of the current page in landscape mode. I’ve sent constructive feedback a few times already and never gotten a reply or even acknowledgement of them receiving it. Guess the team at google just don’t plan on fixing this glaring issue. iPHONE X USERS AVOID! Hey. No issues with the software as a whole, except one thing. And it has been there as long as I can remember. The close all tabs option. It’s ALWAYS been too close to the create new something or other and it doesn’t ask if you’re sure. Important purchase you’re working on, gone. Website you were saving for later, gone. Tabs you keep around just in case, gone. It just goes ahead and wipes everything. And with the most recent update it’s RIGHT NEXT TO THE CREATE NEW TAB OPTION. Can we at least give it an extra alert that asks,”are you sure you want to delete all tabs?” As a computer programmer this isn’t that hard. Please, I’m begging you.